I kept seeing this and stupidly, I didn't read it when it came out. "Too much like the Hunger Games," I thought. "I'm a silly grad student with too many papers to write and I don't have time for fun," I thought. Clearly I thought wrong, because everything I hear about this book is good. And, okay, the clincher? It's set in Chicago. I have an overwhelming soft spot for anything set in, referring to, or remotely related to Chicago. So as soon as I get a copy, I will be devouring it! I really enjoyed this book. In the same line as the Hunger Games, but I liked it better. I highly recommend it! I highly recommend you pick this up ASAP. That's the goal...as soon as I get some extra cash. Definitely check your library. I need to read it again, too. I read it the first time and thought, "Meh." But I remember it fondly, which usually means it deserves a second look. I hope it blows your socks off when you read it! I really should. I don't have a library card here yet, but I guess they're not hard to acquire. Maybe the second reading will bring some other facets. Thanks! Being a Chicagoan I'm the same way. Love anything that set in Chicago or the burbs. I have it on my shelf, signed but I haven't read it yet. Crazy I know. For some reason, it just makes it so much better! I guess it's just cool to read about a place you know and love so well. WOW. You have strong willpower! Wow! 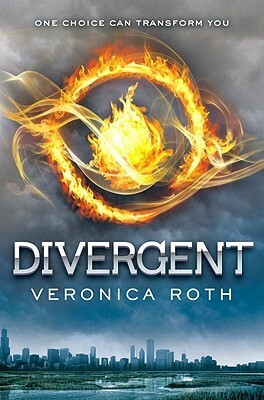 Divergent is awesome! Of course, I highly recommend you always make time for fun! Love your blog too. New follower here! Thanks! I'm so glad you enjoy it. I don't think the link is here, but I'd enjoy checking it out. I like blog hops too!